Several organizations officially recognize Gateway Auto Body as having passed stringent accreditation or certification standards to ensure passenger safety and proper vehicle performance following a collision. This enables customers with eligible claims to come directly to Gateway Auto Body for a damage appraisal after reporting the claim to MPI. The Gold Class® recognition is the highest role-relevant training achievement recognized by the collision repair industry. To maintain Gold Class, Gateway Auto Body must continue to develop the knowledge and skills of its staff to advanced (Platinum) levels of I-CAR’s Professional Development Program.™ Gateway Auto Body has been I-Car Gold since 1989 and in July 2016 became the first collision repair facility in Winnipeg to meet the revised program criteria introduced by I-Car. A brand specific recognition program for Honda & Acura vehicles. As a ProFirst Certified shop, Gateway Autobody meets and sustains Honda Canada’s strict standards ensuring a proper repair and customer satisfaction. 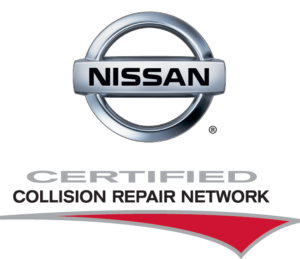 Is a joint certification program with Fiat Chrysler, Ford, and Kia to identify, certify and promote leading repair facilities in Canada. Certification requires Gateway Auto Body to have the right tools, equipment, training and facilities necessary to repair vehicles back to manufacturer specifications. This program is critical to help ensure the vehicle fit, finish, durability, value and safety. This is Manitoba’s safety and health certification standard that helps make workplaces safer and recognizes employers for taking proactive steps to prevent workplace injuries and illnesses. SAFE Work Certified is built around the safety essentials of leadership commitment, hazard identification and risk control, and employee participation. Gateway Auto Body is thrilled to have achieved this milestone in the categories of small business and motor vehicle safety. In addition to our Quality Guarantee & Lifetime Warranty Gateway Auto Body has the best end-to-end consumer protection in the industry. Our participation in the Verifacts Verified Quality (VQ) Program provides independent, third-party verification of repair quality using VeriFacts patented technology for unbiased, consistent measurement and reporting.